Under GST,all cesses to be subsumed in GST. Only 5% assessees would be audited in GST regime, against 70-80% by some states now. Q . How to compute ‘aggregate turnover’ to determine eligibility for composition scheme? Ans. The methodology to compute aggregate turnover is given in Section 2(6). 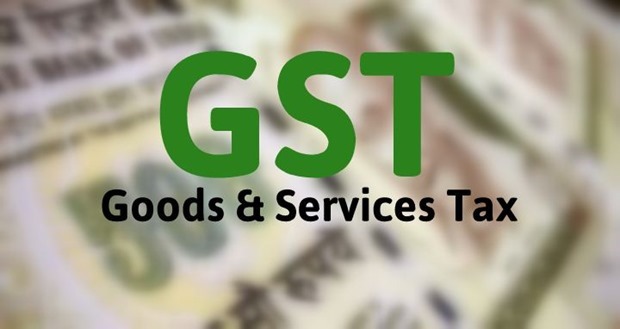 Accordingly, ‘aggregate turnover’ means ‘Value of all supplies (taxable and non-taxable supplies + Exempt supplies + Exports) and it excludesTaxes levied under CGST Act, SGST Act and IGST Act, Value of inward supplies + Value of supplies taxable under reverse charge of a person having the same PAN. Q . What are the penal consequences if a taxable person violates the condition and is not eligible for payment of tax under the Composition scheme? Ans. 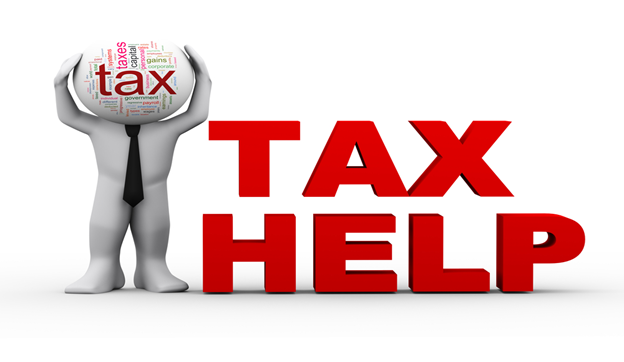 Taxable person who was not eligible for the composition scheme would be liable to pay tax, interest and in addition he shall also be liable to a penalty equivalent to the amount of tax payable. (Section 8 (3) of the MGL). Q . What is the minimum rate of tax prescribed for composition scheme? Q . When exemption from whole of tax collected on goods and/or services has been granted unconditionally, can taxable person pay tax? Ans. No, the taxable person providing such goods or services shall not collect the tax on such goods or services. Query: In case of a right issue of shares by a private limited company for which board meeting we should file MGT 14 u/s 179(3)(c). Is it for the Board Meeting where rights issues offer is made or the Board Meeting where rights issue shares are issued and allotted? Answer: In case of Rights issue, you shall be required to file Form MGT-14 under section 179(3) within 30 Daysof passing the Board Resolution in which Shares are issuedand allotted and put its SRN in Form PAS 3 accordingly. MCA has made an amendment to the Companies (Management and Administration) Rules, 2014. These rules may be called the Companies (Management and Administration) Amendment Rules, 2016 which shall come into force on the date of their publication in the Official Gazette. Due date for income declaration scheme 2016 is 30th September, no extension expected. The visitors may visit the web site of Government site Like Income Tax Department, Services Tax, Excise, Etc for resolving their doubts or for clarifications. The Central Board of Excise and Customs has issue few draft Rules and Formats. We are looking for your comments in it by 28th September 2016 and we will forward the same to CBEC and GSTN. Respective changes in the Model GST Law are being going on separately. Under GST compounding dealer can switch to normal dealer during the year but he can’t change again to compounding dealer during same year. 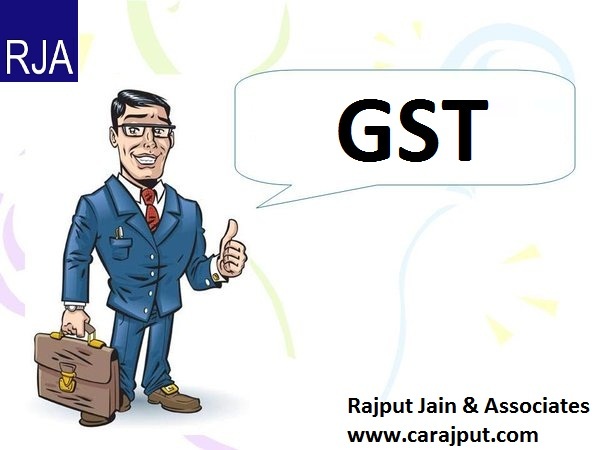 GST CBEC issues FAQ’S on Registration, Valuation, ITC, Assessment, Audit, Refund, Demand & Recovery, Appeals, Advance Ruling, Offence & Penalties etc. SEBI has issued circular in respect of Permission for trading in futures contracts and modification in contract specifications at exchange level. SEBI has issued a clarification that ‘Income from Operations’ may be disclosed inclusive of excise duty, instead of net of excise duty, as specified in the Companies Act, 2013. Query: Can a Pvt. Ltd. Company pay remuneration to its Ordinary Director (other than M.D/WTD) on Monthly, Quarterly or yearly basis apart from 1% or 3% of Net Profit as provided under Section 197 of The Companies Act, 2013? Answer: Private Company can pay remuneration to director (other than M.D/WTD) without any limit subject to provisions contained in the Articles of Association of the Company. However by passing a board resolution you can fix/revise the remuneration of the directors in private company. MCA released Companies (Management and Administration) Amendment Rules, 2016 vide Notification dated 23.09.2016. : The Ministry of Corporate Affairs (MCA) has made an amendment to the Companies (Management and Administration) Rules, 2014. These rules may be called the Companies (Management and Administration) Amendment Rules, 2016 which shall come into force on the date of their publication in the Official Gazette. Amendment is made to clarify the provision of Section 93 of the Companies Act, 2013 under which every listed company is required to file with the Registrar, a return in Form No. MGT.10, with respect to changes in the shareholding position of promoters and top ten shareholders of the company, in each case, representing increase or decrease by two per cent or more of the paid-up share capital of the company, within fifteen days of such change. Further, Form MGT-6 which is Return to the Registrar in respect of declaration of beneficial interest in shares under section 89 by the company has also been revised. The Union Cabinet has approved today the proposal of the merging of Union Finance Budget and Railway Budget. Now a Consolidated Budget shall be presented on February 1 every year instead of the last day of the month of February. Cabinet approves extension of the validity of Central Orders dated 28.09.2015 in respect of edible oils and edible oilseeds and Central Order No. S.O. No. 2857(E) dated 18.10.2015 in respect of pulses from01.10.2016 to 30.09.2017. Today is last date for e-payment of ESI, and for DVAT & CST pertaining to august, 2016. ICAI: Please pay your Membership and COP fee for 2016-17 before 30 SEP 2016. Time, power, money & body may not cooperate every time in life but Good nature, good understanding, spiritual path & true spirit will always cooperate in life. Silence is the strong fence around wisdom, If your foot slips, You can re-gain your balance, but if your tongue slips, you can never re-build your image again. The threshold Annual Exemption Limit fixed at ₹ 20 Lac. The threshold limit for the north-eastern and hill states paged at ₹ 10 Lac. GST rates and tax slabs would be decided at three-day’s meeting during 17-19 Oct, 2016. GST rollout slated for 1st April, 2017. GST Council’s next meeting on 30th Sep, 2016 to finalise draft GST law / rules. The state authorities will have jurisdiction over assessees with annual turnover of less than ₹ 1.5 crore. Those with turnover of over Rs 1.5 Crores would be cross examination either by officers from the Centre or state to avoid dual control. The existing 11 Lac service tax assessees would continued to be assessed by the Centre. New assessees which would be added to the list would be divided between the Centre and the States. Council is working on a compensation law and draft compensation formula. The base year for calculating compensation would be 2015-16 and the formula for payment of compensation would be deliberated b/w the state and Central authorities. All decisions today by the GST Council were taken on the basis of consensus. Chartered Accountant Act, 1949: Where a CA sold his shares but continued to receive dividends declared by the Company by cheating upon transferee, such activity could not be said done in relation to practice as CA as such act of dishonesty was done in individual capacity. Thus, disciplinary committee’s proposal to remove CA’s name from registers of members of ICAI for 6 months was to be set aside. The transferee made complaint about this conduct of CA before the Disciplinary Committee of the Institute of Chartered Accountants. The Disciplinary Committee found that the conduct of CA was wholly unworthy and amounted to professional misconduct. In the instant case the respondent was acting as an individual in his dealings with the complainant which were purely commercial. While selling the shares held by him the respondent was not acting as a Chartered Accountant. He was not discharging any function in relation to his practice as a Chartered Accountant. In the decision reported as AIR 1958 SC 72 Council of Institute of Chartered Accountants & Anr. vs. B. Mukhreja, a Chartered Accountant who had been appointed as a liquidator was held liable for professional misconduct on the reasoning that Regulation 78 provided for a Chartered Accountant to act as a liquidator and thus while acting as a liquidator Sh. B. Mukhreja would be deemed to be in practice as a Chartered Accountant. The judgment brings out that the acts of omission or commission must relate to the offender acting as a Chartered Accountant and rendering service for remuneration and must be engaged in an activity which a Chartered Accountant would be entitled to be engaged in, wearing the hat of a Chartered Accountant. 122nd Constitutional Amendment Bill to be ratified by at least 50% of the State Legislatures under Article 368 of the Constitution. Assent by President of India to the 122nd Constitutional Amendment Bill will require. After Constitutional amendment GST Council (GSTC) to be constituted within 60 daysunder Section 279A of the amended Constitution. GSTC to recommend GST Law and procedure. IGST and CGST bill for Parliament/Centre and Model SGST bill for State Legislature. CGST and IGST Laws to be introduced in Parliament and will require be passed by simple majority. SGST Laws to be passed by concerned state legislatures. 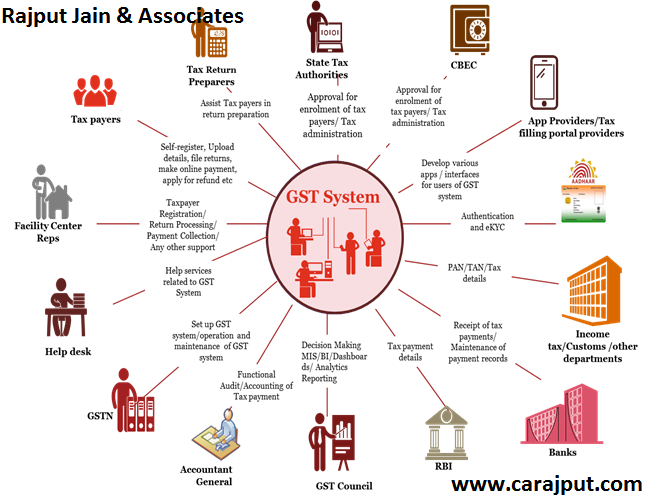 Once Approval from Parliament and States, GSTN (GST network a Section 8 Company will launch the IT Platform for implementation of GST). GST Council Formation Approved – A Step Forward : Another step has been taken by the government on the right direction for the implementation of biggest tax reform. The Constitution (One Hundred and Twenty¬ second Amendment) Bill, 2014, for introduction of Goods and Services tax in the Constitution of the country was accorded assent by the President on 8th September, 2016, and the same has been passed as the Constitution (One Hundred and First Amendment) Act, 2016. Appointment of the secretary (Revenue) as the Ex-Officio Secretary to the GST Council. The Finance Minister has also decided to call the first meeting of the GST Council on 22nd and 23rd September 2016 in New Delhi. The GST Council shall make recommendations on tax rates, cesses, exemptions, threshold limit, and other provisions. GST Constitutional Amendment Bill gets Presidential assent: Honorable The President of India gave assent to the 122nd Constitutional Amendment Bill 2014 on Goods and Services Tax (GST) and now it becomes One Hundred and First Amendment Act, 2016, a major milestone for the introduction of the Goods and Services Tax (GST) expected to be implemented by 1st April 2017. For your information, The Bill was passed unanimously by both the houses of Parliament in august 2016 and ratified by the legislative assemblies of more than 50% of the states. Assam was the first state to ratify the Bill and the other states which have passed the legislation include Bihar, Jharkhand, Chhattisgarh, Himachal Pradesh, Gujarat, Madhya Pradesh, Delhi, Nagaland, Maharashtra, Haryana, Sikkim, Mizoram, Telangana, Goa, Odisha and Rajasthan. Going forward, GST Council will be formed within 60 days of the enactment of One Hundred and First Amendment Act, 2016. CGST and IGST laws will be introduced in Parliament and SGST Laws in State Legislative Assemblies for the rollout of GST. 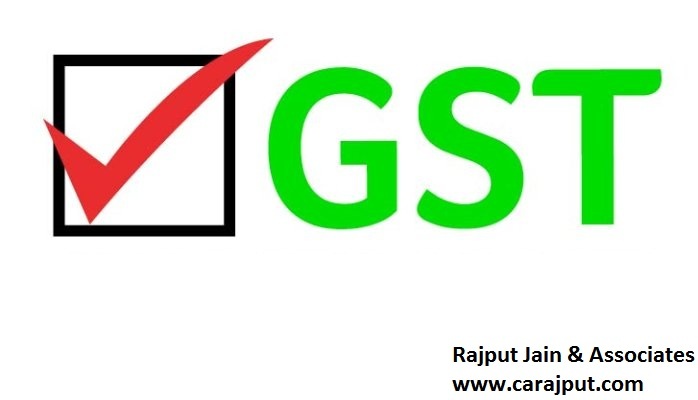 With the passage of 122nd Constitutional Amendment Bill as One Hundred and First Amendment Act, 2016 in both the houses of Parliament by full majority and the release of Draft GST Model in June 2016 by the Empowered Committee of State Finance Ministers, it is expected that the GST will be in force very soon. The Team DYKS has been analyzing the Draft GST Model deeply and initiated a Series of Articles on the issues emerging from the analysis. Goods and Services Tax whether in the form of CGST, SGST or IGST will be levied on the“supply” of goods or/and services. Supply is defined in the Section 3 of the Draft Model Act which will also include a supply as mentioned in Schedule I even without consideration. 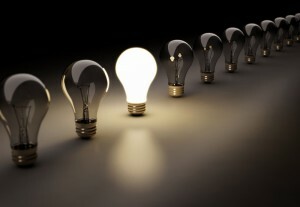 We have come up with an Article to analyse two transactions which are mentioned in the Schedule I i.e. Temporary application of business assets to a private or non- business use. CBEC has issued a clarification regarding supply of goods manufactured by EOUs without payment of central excise duty against advance licence/authorisation vide circular No. 1046/34/2016-CX dated on 16/09/2016. CBDT’s reiteration of maintaining strict confidentiality of the declarant and the declaration so made vide its press release dated 15-09-2016. CBDT clarifies on last date to avail Direct Tax Dispute Resolution Scheme, 2016, to be 31st December, 2016. CBDT has issued a office memorandum vide F. No. 225/233/2016-ITA II dated 15/09/2016 that the last date for making declaration under the Income Declaration Scheme 2016 is 30th September ,2016 hence the declaration can be filed till the midnight of the day. CBEC seeks to amend Form ARE-2 vide Notification No. 44/2016 dated 16/09/2016. Cbec has issued a clarification regarding rebate of duties paid on raw materials used in manufacture or processing of export of goods and admissibility of dutydraw back in such cases vide circular No. 1047/35/2016-CX dated on 16/09/2016. MVAT rate has been increased wef. From 17/09/2016, under schedule C except declared goods from 5.5% to 6% and under schedule E from 12.5% to 13.5% [Notification no, VAT.1516/CR-31/Taxation-1]. The revised forms will be available on the portal on the portal w.e.f 22nd September, 2016 of MCA. Stakeholders are advised to download the latest version before filing. Form- wise date of last version change is available at on the website of MCA. MCA has released the revised the versions of e-Forms – Form CRA-2, Form CRA-4, Form SH-8, Form CHG-4, Form MR-2. The revised forms will be available on the portal on the portal w.e.f 22nd September, 2016 of MCA. GST Payment by Internet banking, Dr/Cr Card, NEFT, RTGS or challan upto 10,000 & not by Book Entry/Adjustment or Debit to Export Scrips. GST Abatement for crucial services e.g. life or medical insurance expected to avoid significant increase in overall burden on consumers. Under GST By Oct end, GSTIN & Passwords to be issued to exisiting Assessees who will have to update Address, Names of Owners / Directors etc & Bank details. Under GST apply for registration in 30 days from becoming liable, to claim ITC of inputs in stock on date preceding date of liability. SEBI made Unique Client Code (UCC) and Permanent Account Number (PAN) mandatory for all the persons transacting on commodity exchanges. Extension to 17-10-2016 of due date for filing ITRs in cases where due date of ITR is 30.9.2016 due to clash with Income Declaration Scheme 2016. CBDT Order of 9-9-2016. No penalty for not declaring STCG due to bonafeid mistake/clerical error [Shri Raj Dutta vs. JCIT (ITAT Delhi)]. Under Income Declaration Scheme 2016 no capital gains/TDS on transfer (without consideration) of declared benami property within 1 year to the Declarant. Direct cash deposit in supplier’s bank a/c not attracts disallowance u/s 40A (3) [Bolkunda Pachwai & (S) C.S. Shop vs. Income-tax Officer (ITAT Kolkata)]. 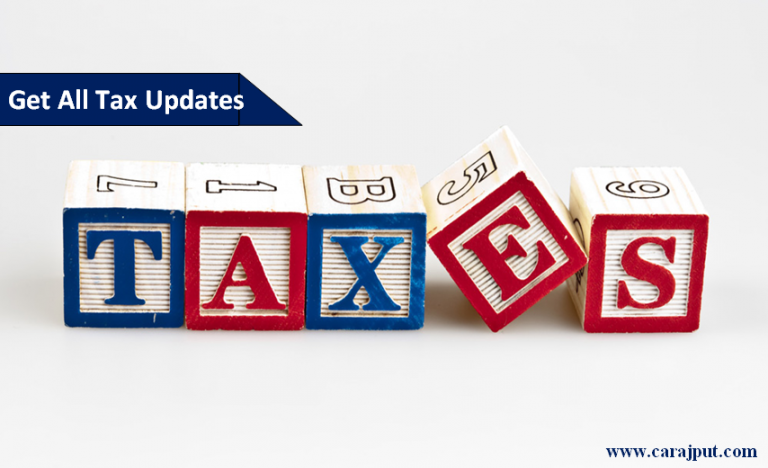 CBDT clarifies due date extension also applicable to Accounts audited under Sec 44AB vide notification no 225/195/2016-ITA II. Date of filling of DVAT return in form 16,17 & 48 for Q-1 2016-17 has been extended upto 19-09-2016vide circular no-14, dated 09-09-2016. CBDT launches online ‘Nivaran’ to resolve Income Tax grievances. The last date for payment of second installment of Advance Tax is 15.09.16. Dept of Revenue has specified that the religious places shall be exempted from payment of Service Tax. All religious places shall be considered to fall within the purview of clause (a) of entry 5 of Notification No. 25/2012- Service Tax, to be exempted from payment of service tax. MEF online submission date extended to 20 September 2016 declaration to be submitted 30 September 2016. Please pay ICAI Membership and COP fee before 30th September, 2016 in order to avoid removal. ICAI launch a “Support-desk for Implementation of Ind AS”, so as to address the difficulties faced by the members and stakeholders. ESIC Hikes wage ceiling from Rs.15000 to Rs.21000 w.e.f 1st Oct 2016. EPF: To know your BALANCE, give a missed call on 011-22901406 from your registered mobile number to get SMS alert immediately. RBI issues guidelines for preparation of half yearly ProformaInd AS Financials by specified financial institutions CIRCULAR DBR.FID.NO.1/01.02.000/2016- 17, DATED 4-8-2016. Under GST For Refund, Assessee to submit CA Certificate that GST burden not passed to customer. Self Certification upto threshold amount. GST: Cabinet approves creation of GST Council and its Secretariat – The Finance Minister to be the Chairperson, decided to call the first meeting of the GST Council on 22nd and 23rd SEP 2016 in New Delhi. For GST roll out wef 1.4.2017, Parliament will have to approve CGST & IGST Bills & State Assemblies will pass their own SGST Bills. Under GST late returns would attract fee @ 100 per day subject to maximum of Rs 5,000/- maximum fee in case of annual return is 0.25% of aggregate turnover. MCA has relaxed additional fees for filing Form IEPF-1, replacing the Form-1-INV prescribed under CA’ 1956 and was not available for filing since 25 MAR 2016, upto 07 OCT 2016. MCA amends Schedule V of the Companies Act,2013, w.e.f. 12th September, 2016. MCA Notification dated 12.09.16. MCA has enforced certain provisions of Companies Act, 2013 w.e.f 9th Sept, 2016. Section 227, 242, 246,241 or 245 and Sec 337 to 341 (to the extent of their applicability for Section 246. MCA vide Notification dated 9 Sept. 2016 has notified the Companies Mediation and Conciliation Rules 2016, which shall come into force from the date of their publication in the Official Gazette. MCA has designated Special Courts for the States of Chhattisgarh, Manipur, Rajasthan, Punjab, Haryana, Chandigarh, Districts of Coimbatore, Dharmapuri, Dindigul, Erode, Krishnagiri, Namakkal, Nilgiris, Salem and Tiruppur, Pandichery for the purposes of providing speedy trial of offences punishable with Imprisonment of 2 years or more under the Companies Act, 2013. Answer: Section 186(11) provides exception to banking company, insurance company, housing finance company who lends loan in ordinary course of busniess and to companies which are engaged in the business of financing of companies or providing infrastructural facilities. Further, Rule 11(2) of Companies (Meetings of Board and its Power) Rules, 2014 provides that for the purpose of Section 186(11), the expression ‘business of financing companies’ shall include, with regard to, a Non Banking Financial Company registered with Reserve Bank of India, business of giving of any loan to a person or providing any guarantee or security for due repayment of any loan availed by any person in ordinary course of business. Query: What is the procedure to file details of unclaimed and unpaid amount? Answer: Form IEPF-2 is required to be filed by the company/Corresponding New Bank which shall contain investor wise details of unclaimed and unpaid amounts in respect of dividends, debentures, deposits, etc. The details of unclaimed and unpaid amounts shall need to be provided as on the Annual General Meeting (AGM) date. This form is to be filed annually within 90 days from the date of AGM. The form can be downloaded from the IEPF portal of the Ministry. Income Tax ITR filing extension of due date from 30-9-2016 to 17-10-2016, applicable for ITRs to be originally filed by 30-9-2016 & Tax Audit Reports also. CBDT Clarification of 14.09.2016. Clarity in the mind and purity in the heart are the signs of happiness. CBDT has extended the due date of filling of Income tax return by tax payers whose accounts are required to be audited under the Income Tax Act from 30th September , 2016 to 17th october, 2016 vide order F.No.225/195/2016-1TA-II dated 09/06/2016. 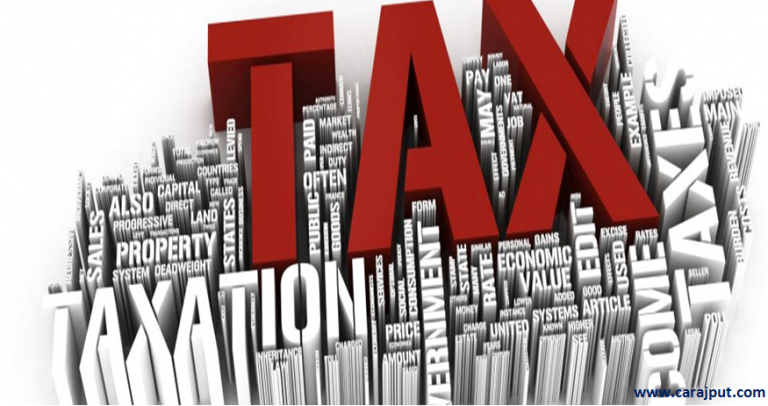 IT: The NOIDA has been constituted by the State Act and therefore entitled to exemption of payment of tax at source under section 194-A (1) of the Act – CIT (TDS) Vs Syndicate Bank (2016 (9) TMI 308 – Allahabad High Court). CBDT has launched the ambitious ‘e-nivaran’ facility for online redressal of taxpayers’ grievances related to refunds, ITRs and PAN among others as part of its initiative to reduce instances of harassment of the public when it comes to complaints related to the I-T Department. ST: The Department of Revenue has specified that the religious places shall be exempted from payment of Service Tax. All religious places shall be considered to fall within the purview of clause (a) of entry 5 of Notification No. 25/2012- ST, to be exempted from payment of service tax. DVAT: Date of filling of DVAT Return in Form-16, 17 & 48 for Q-1FY2016-17 has been extended up to 19 SEP 2016. Circular No.14, dt.09-09-2016. DVAT has extended the due date of filling the return in form 16,17 & 48 for Q1 2016-17 upto 19-09-2016 videcircular No- 14/2016 F. No. .7(420)/VAT/Policy/2011/PF/ 172-17 dated 09-0-2016. GST Act of the Parliament received the assent by the president on the 8th September,2016 and has been published for general information.This Act may be called the Constitution (One Hundred and First Amendment) Act, 2016. GST bill now a law, President Shri Pranab Mukherjee gives assent to the constitutional amendment bill. GST Council to be constituted to resolve GST rates, dual control over assessment / scrutiny & area based exemptions. GST: Provisions relating to Formation of GST Council comes into effect from (12 SEP 2016 – The Constitution (One Hundred and First Amendment) Act, 2016 as notified on 10.09.2016. Query: A Private limited Company has subsidiary named ‘Y Private Limited, and both are SMC’s. Kindly confirm whether that Private Limited Company be required to prepare CFS? Answer: As per section 129(3) every company is required to prepare the CFS. In AS-21, it is clearly stated that the accounting standard does not mandate an enterprise to present consolidated financial statements but, if the enterprise presents consolidated financial statements for complying with the requirements of any statute or otherwise, it should prepare and present consolidated financial statements in accordance with AS. So in this case, that Private Limited Company will be required to prepare the CFS as per the requirement of Companies Act, 2013 and for the purpose of preparing CFS it has to follow guidelines of AS. Query: Can a director attend all Board meetings in a year through video conferencing mode. Will it be counted for quorum? Please advice. Answer: Yes, as per Rule 3(2)(e) & (f) of the Companies (Meetings of Board and its Powers) Rules, 2014, any director who desire, to participate may intimate his intention of participation through electronic mode at the beginning of calendar year and such declaration shall be valid for one calendar year. And in absence of any intimation, it shall be assumed that director shall attend the meeting in person. Further, Rule 4 of the Companies (Meetings of Board and its Powers) Rules, 2014 provides for the matters which shall not be dealt with in a meeting through video conferencing mode or other audio visual means. MEF online submission date has been extended to 20th Sept . This is the second extension. Declaration to be submitted by 30 Sept in case of manual submission of declaration. You can also sign it digitally. 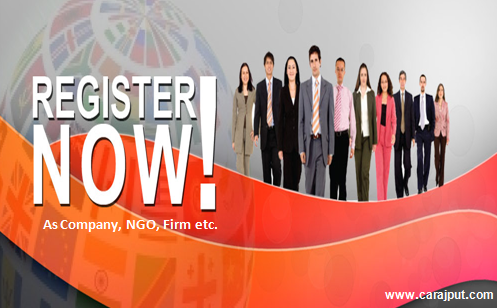 In case of partnership firm, DSC of all the partners required. The application is in three Parts. Now only Part A shall be filed. B and Part C of MEF have been made non functional thus MEF PART A for Bank Audit is to be filed by 20 sep rest to be filed after 1 October 2016. The difference between a successful person and others is not a lack of strength, nor a lack of knowledge, but rather a lack of will.